Adam Singolda is Founder and CEO of Taboola, the leading discovery platform, serving over 550M unique users monthly. Prior to founding Taboola in 2007, Adam developed his analytical skills while serving as an officer in an elite mathematical unit of the Israeli National Security Agency. Adam is an honored alum of the Israeli Defense Forces’ elite computer science training program, graduated first in his class at the Officers Academy of the IDF, was named one of Israel’s top “30 under 30” business managers by TheMarker, and was recently named “Entrepreneur of the Year” by Geektime. Adam has spoken on stage at TEDx, Collision, Kaltura Connect, Business Insider’s IGNITION, ClickZ LIVE, Advertising Week, 360i Marketing Summit, Web Summit, Landmark Ventures Media Technology Summit, Streaming Media, NAB, NewTeeVee, ELEVATE, Meetup, MIT (Sloan), Bloomberg West, and others. My background is in technology. When I was younger, I studied computers and learned a lot of code. I also spent 7 years in the Israeli army as an engineer and team lead in their national encryption unit so, it was a natural flow for me. Tell us about Taboola. What inspired the idea and what is your vision for the company? When I finished my army service and spent some time at home, I became frustrated with the experience of watching TV. It was just about the time in Israel when TV shifted from a few channels to lots of them. While there was more content available on TV, oddly enough it felt like there was nothing to watch. I became passionate about the “Discovery problem,” and began thinking that people shouldn’t be looking for TV shows but rather TV shows should be looking for people. Our vision for Taboola is to connect people with information they may like and never knew existed. There is an overwhelming amount of information out there for us to consume and we need help figuring out what book to read first, what movie to watch second, and so forth. I think search engines had a meaningful impact on humanity because for the first time, if you knew what you were looking for, you could find it and become educated about it. Taboola is like a search engine but in reverse. Instead of people typing keywords, looking for information, our technology brings the content/ products/ services from all around the web to you before you’re inclined to search for it. What strategic partnerships have you implemented that have attributed to Taboola's success? We’ve had many great partners over the years that have greatly contributed to our progress, helped us learn, and guided us in finding what products were missing. In the end, it’s all about the people you work with, and we were fortunate to work with top notch folks from across our industry that believed in us, gave us a chance, and helped us focus on what matters. In June, we partnered with Yahoo Japan to bring Discovery and Native Advertising to Japan. We are extremely excited about it; Yahoo Japan is a phenomenal company with an outstanding leadership team, and there is great potential for us to make a strong impact in the Asia-Pacific region. Last month, we announced our joint partnership with Tribune Broadcasting to offer personalized content recommendations across all platforms, including over 80 native applications. In light of the massive mobile growth, and Tribune being a leader in digital and mobile, we’re very excited about our partnership and driving a “web of one” across all platforms. 1. Personalization - We invest in partnering with media and data companies. We believe it’s a multi-decade journey and it will take a long time for us to continue personalizing all of the information on the Internet, similar to how long it has taken the search industry. Our focus is on bringing value to users and value to marketers. 2. We’re in the midst of a massive mobile shift. We recognized this change and developed an API and SDKs. We already work with over 100 apps, including Tribune and NBC News. We have dedicated our product efforts to look for unorthodox solutions that go beyond just moving from the desktop to the mobile environment but rather creating unique solutions just for mobile. 3. 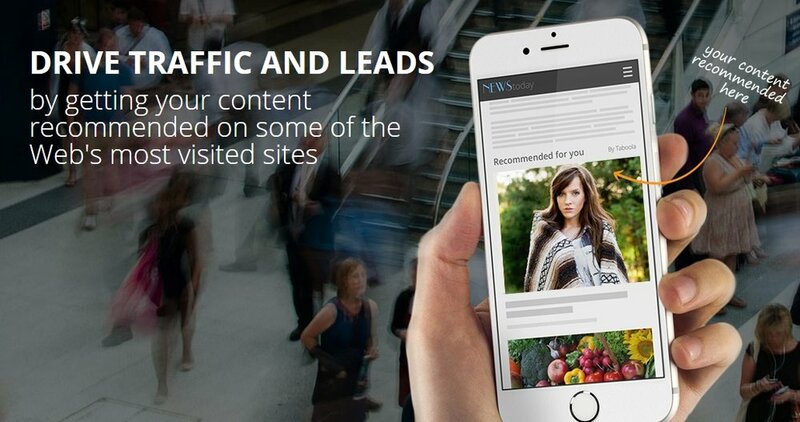 Growth in social traffic - A new wave of social publishers has developed. Thes publishers are experiencing huge growth as a result of Facebook and Twitter shares but are at risk if, for example, Facebook’s algorithms change. We are working with several of these publishers such as PlayBuzz and Viral Nova to help them nurture new content discovery methods. Economy of good enough, read here. 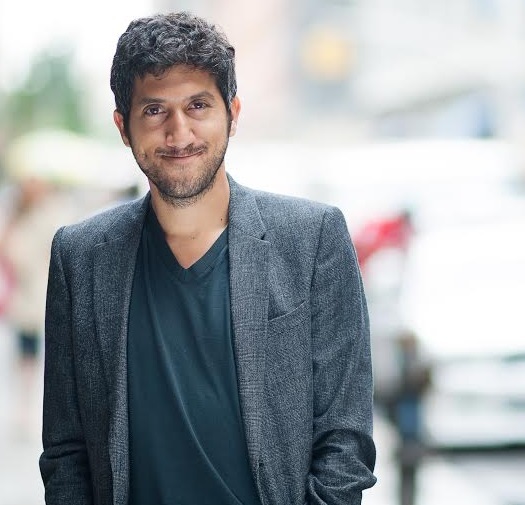 Your greatest success as founder of Taboola? My greatest success as a founder of Taboola is having an amazing team around me to work with every day. Most difficult moment- how did you overcome and what did you learn? When we were first starting out, we met with many VCs in an effort to raise funding and most of them told us that publishers would never want to surface other publishers’ content. It was difficult to raise money against that story but we were fortunate enough to find some great investors who supported us and kept us going by investing in our engineering and product until we got to the point where we could show the value of Taboola and get more investors excited about it. Dream big. Hire great people and don’t worry about making mistakes along the way. The biggest thing I try to do is to make people feel like Taboola is theirs just as much as it is mine. Culture is super important in that respect. It’s important to minimize politics and create an environment where upper management works with everybody. We also practice high transparency by having weekly toasts. In all of our offices around the world, we are religious about gathering together on the last day of every week. From the most senior executive in the office to the person who just joined, we talk about successes, failures, and share things we’ve learned, all with high transparency. After all, a company’s success or failure is driven by the people working there, and having an opportunity to gather together at least once a week amidst all the craziness and talk about the key things that drive our business allows us to help building it collectively. Additionally, we like to make noise (quite literally) when there’s something to celebrate. When Taboolars achieve something exciting such as a new sale, partnership, or account upsold - we make a lot of noise by ringing a gold bell in the middle of our office to share the news, and celebrate with the entire team because somebody in the room might have a unique idea about it. I like pickles. :) And coffee, but probably not together. My role model for both personal and business is my dad. I watched him start from nothing and grow into a humble, successful guitarist. He’s also a great family guy which I’ve always appreciated. Playing piano, and video/image taking with my GoPro or new Polaroid vintage camera. We are focused on full page personalization and recommending other types of information. We hope to spend the next 20 years indexing the Web’s information and bringing it back to consumers who may like it and never knew it existed before. For example -- recommending apps, trips, people and over time, even recommending things offline like food you may like in a restaurant. We believe everything should be personalized.